As Albuquerque Rapid Transit takes final shape, there are some unique things on Central Avenue that drivers and pedestrians should be aware of, before service begins. 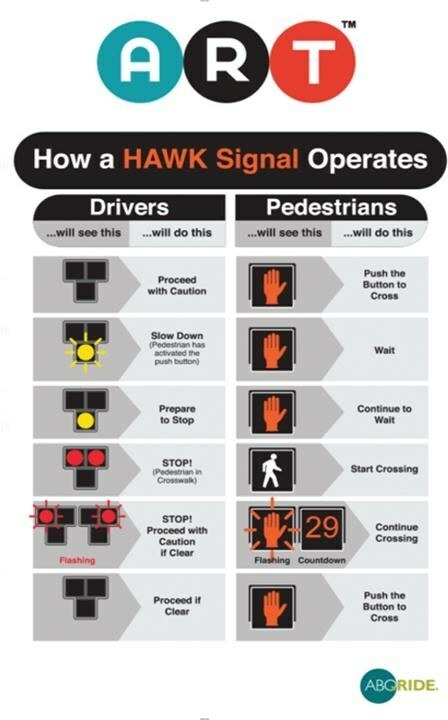 First of all, at four locations on Central, drivers and pedestrians will encounter HAWK signals. HAWK signals are located near the white dots. These signals will alert you when pedestrians may be ready to cross the street. Flashing yellow means slow down and prepare to stop. When the Hawk signal turns red, come to a complete stop. And when the HAWK signal flashes red, when the cross walk is clear of pedestrians, you can continue your drive. Also along the ART roadway, pavement markings and traffic signals will indicate where and when it’s safe for drivers to turn. Left turns and U-Turns are still permitted on Central. But only at signalized intersections. At 41 signalized locations along the ART corridor (outside of Downtown Albuquerque), drivers will be able to make not only protected left turns, but also protected U-turns. 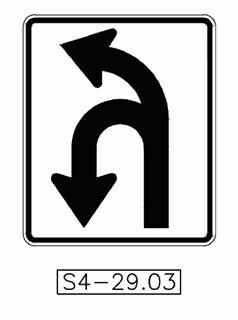 Right now, if you make a legal U-turn in Albuquerque, you only do so if no oncoming traffic is nearby. On the ART route, drivers have the ability to make protected left turns/U-turns when they have the light, even if the ART bus is at the station. The drivers themselves will have their own set of signals. Until the system is operational, those drivers’ signals are bagged. But once they’re operational, they’ll show a red light during training and then will be replaced by horizontal white line to indicate the bus must stop. A vertical white line will prompt the driver to pull out of the ART station. Finally, there are the ART dedicated lanes, which will cover 90 percent of Central from Louisiana to Coors. ONLY buses, emergency vehicles and ART maintenance vehicles can drive in this ART lane. Red is for ART, regular asphalt is for everyone else. If you get to close to the ART lane, “rumble strips” at the edges of the dedicated lanes will remind you to stay a safe distance away.